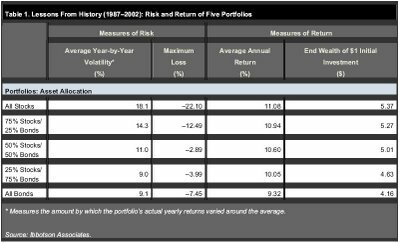 HORAN Capital Advisors Blog: Asset Allocation: All Bond Portfolio More Risky Than Balanced Portfolio? 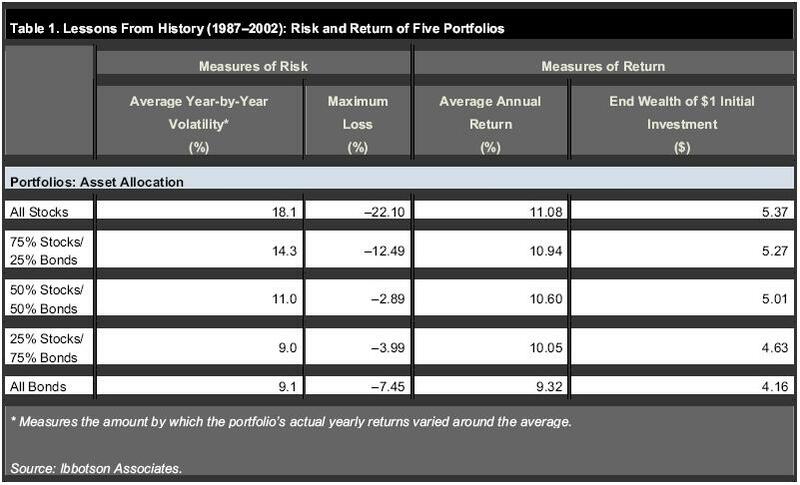 There's a sixth hidden in the chart: You have to examine data in the context of the time-frame covered by the data. The period from 1981 is one of continuously declining bond yields to a low in 2003: http://chart.finance.yahoo.com/c/my/_/_tnx. Predicting where rates will go in the future is a fool's game at best. Notwithstanding, obtaining a sustained 9% average annual return in the future is impossible at current levels.